Energize your future by learning, leading, and succeeding. College. 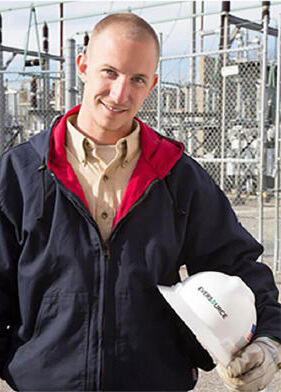 Make the most of your future and education by discovering all Eversource has to offer. We have relationships with some of the best colleges and universities in New England and beyond. Join us and learn how you can tap into your full potential while achieving real-world experience, results and success through one of the following programs. And, if you are hired as a full time employee, you may be able to participate in our Tuition Reimbursement Program to continue your education. Eversource offers students the opportunity to learn about the utility business while gaining hands-on experience in a real work environment. As valued members of our team, co-ops and interns are revered for their fresh outlook, unique problem-solving skills and energetic contributions. 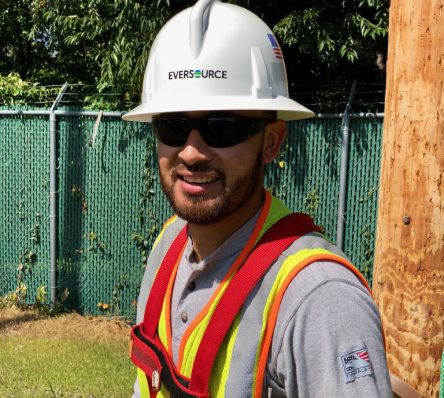 Every co-op and intern is exposed to a variety of projects and tasks to foster career development, personal achievement and success at Eversource. Positions are available in Connecticut, Massachusetts and New Hampshire. During my time at Eversource, I was not only able to learn but also to contribute through working on different projects. I was always able to share my thoughts and opinions. It is a great working environment with great people who are always willing to help you learn and achieve more. 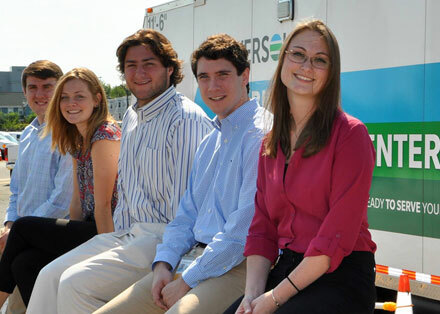 As an intern or co-op at Eversource, you will receive challenging, meaningful work that will allow you to apply your academic coursework to the real work environment. To provide knowledge and guidance, all co-ops and interns are assigned a mentor—an experienced employee who can offer coaching, feedback and valuable business insight. From UCONN to Northeastern to UNH, our interns come to us from colleges across the country for exciting opportunities in engineering, accounting, finance, law, communications and information technology. And all receive challenging, meaningful work that allows them to apply their academic coursework to the real world. An intern in our Energy Efficiency Department in Berlin, CT who lives and works every day to create a better planet for all. 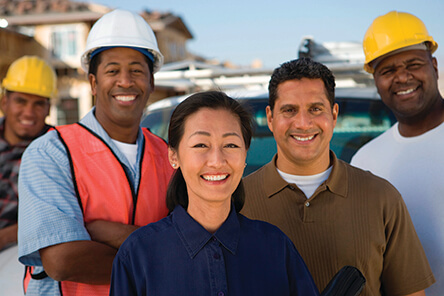 Eversource has partnered with the Local 369 Utility Workers Union of America, Local 12004 United Steel Workers Union and Bunker Hill Community College to offer the Electric Power Utility Technology Program for applicants living in and around the Boston area. Two years of academic, technical, and onsite training, along with a certificate in natural gas technology. Please contact us at 781-441-8300 or eput@eversource.com for more information. 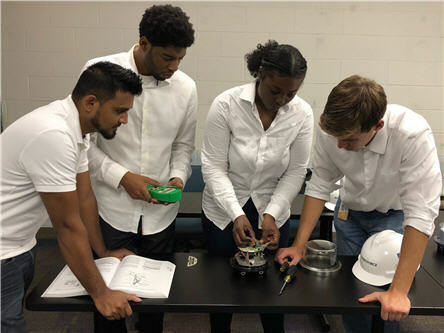 Designed to prepare students for employment in a variety of electric and gas related position; students will complete coursework in Algebra, College Writing, DC Circuit Theory and various laboratory assignments. Students are required to maintain grades of C or better in all courses throughout the program. Eversource Provides tuition assistance to enrolled students up to $600 a semester. Students also have the opportunity to participate in summer internships- starting at $13 an hour for the first year and $14 an hour the second. Interns will be provided brand new protective eye wear (prescription lenses are covered), steel toed boots, fire resistant clothing and a hardhat. Graduates meeting necessary criteria will have the opportunity to interview with Eversource for a job. Positions start at approximately $30 an hour with great opportunities for advancement in the company. Determine if you need to take the College Placement Test (CPT). All students must take the exam unless they are exempt from taking the test. Visit https://www.bhcc.edu/assessment for more information and how to schedule the placement test. Submit a copy of your final High School Transcript to BHCC. Please upload your documents to your application online or email them to admissions@bhcc.mass.edu. Complete Eversource’ s pre-screening requirements to determine eligibility and acceptance in the EPUT program. Space is limited. The program is now accepting applications for classes starting in the Fall of 2019. Deadline to apply is 3/29/2019. Chris started in the EPUT program and has worked in a variety of business areas. He is currently a Distribution Support Technician in our Gas business. It may be a long holiday break between semesters for most traditional college students, but it’s co-op season for students in our Eversource Electric Power Utility Technology (EPUT) Program. It’s one thing to know you don't want a desk job— but quite another to pick up a shovel and dig deep to find a career that’s the right fit for you. Here, an apprentice in our Electric Power Utility Technology (EPUT) Program is getting valuable “on the job/street” training in Cambridge, MA. The Natural Gas Field Technician Certificate program is a partnership with Eversource Energy and Middlesex Community College. 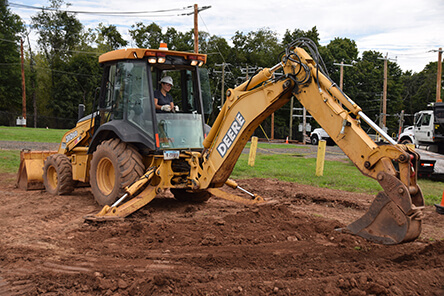 The natural gas industry is experiencing tremendous growth in meeting and serving the energy demands of homeowners, businesses, and municipalities across Connecticut. Expanding access to natural gas and accelerated replacement programs has driven a higher demand for skilled resources to construct, maintain, and service the natural gas infrastructure. Middlesex Community College is partnering with Eversource Energy to deliver a program specifically designed to help develop the future workforce needed in this growing field. Experienced natural gas industry instructors will teach classes at the Eversource training facility in nearby Berlin, CT. Students will develop the fundamental skills required to safely and efficiently install and maintain gas distribution facilities, including the proper use of tools and equipment. They will also build a strong working knowledge of approved industry practices. Working in the natural gas industry is a physically demanding job encompassing a variety of physical tasks, including bending, twisting, lifting, digging, and carrying equipment. As a selective admissions program, students must follow the application process and meet all deadlines. Applications close on May 15, 2019. Kelly is a hire into our Gas organization after earning a certificate for natural gas field technicians. 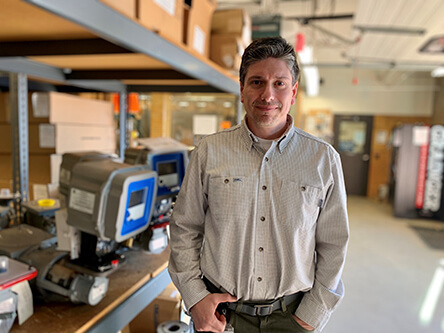 Darrell spent 18 years in home construction, but pivoted last year to start a new career in the utility industry earning a certificate for natural gas field technicians. 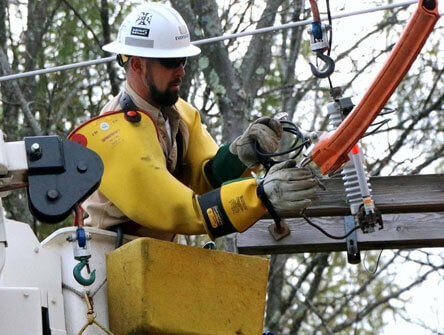 Eversource, in partnership with New Hampshire's Manchester Community College, the International Brotherhood of Electrical Workers (IBEW) Locals 104 and 1837, and the National Electrical Contractors Association (NECA), now offers a certificate program that will prepare graduates for a lineworker apprenticeship leading to careers in the electric power industry. The hands-on certification program will include in-classroom learning and laboratory courses at local training facilities. Students will complete course work, including electrical theory, basic math, communications, CPR and safety. Courses will prepare students for employment in a variety of electrical fields, with an emphasis on electrical lineworker responsibilities and tasks. In addition to the in-classroom coursework, students will learn how to climb a utility pole, as well as how to use equipment and tools to safely complete overhead and underground construction. 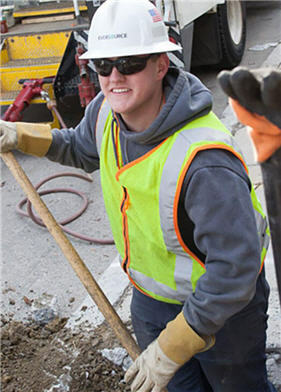 During curriculum breaks, students will complete a paid internship with Eversource or an IBEW contractor. Prospective students will be required to pass a placement test and a physical fitness exam in order to qualify for enrollment. 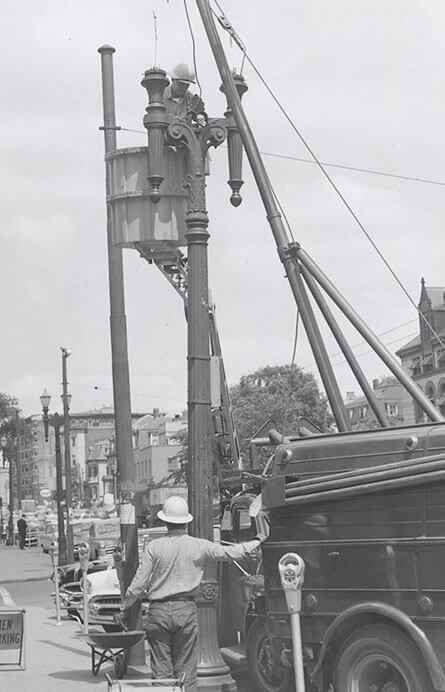 A crew makes repairs to streetlights along Massachusetts Ave. in Cambridge, MA. Circa 1950. 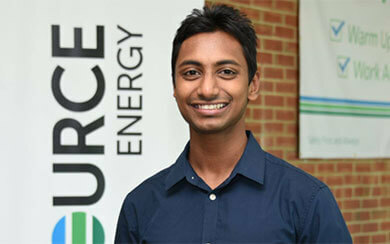 The Engineering Professional Development Program provides recent engineering graduates an opportunity for career development, training and varied work experience in Eversource's electric businesses. The program provides participants the opportunity to gain experience working in different engineering areas. Each engineer will spend six months in three key internal areas of Eversource before transitioning to a traditional engineering position. Participants will be assigned a mentor to help with professional development and coaching while working in their assignments. They will also receive business area briefings and technical training to help prepare for a successful career at New England's largest electric utility. Eversource is looking for candidates with a Bachelor of Science degree in Electrical Engineering who graduated with a GPA of 3.0 or above. Potential participants must be able to work in a team environment, hold a valid motor vehicle operator's license and be authorized to work in the ​U.S. without sponsorship. Could this be the next generation of utility industry employees? Several students from Central Connecticut State University visited our Berlin campus to find out more about the energy sector and job opportunities at Eversource. So we're giving them a look inside our Incident Command Center, as well as the opportunity to talk with staff from around the company about what “a day in the life” looks like for these employees. 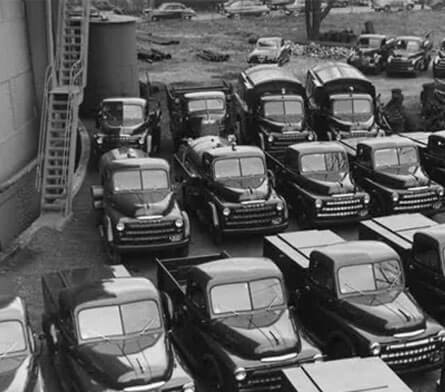 Here's a picture of what our gas trucks looked like back in 1951. Fun fact: this Cambridge, MA photo was taken the same year that a baseball game was first televised in color. The game was between the Brooklyn Dodgers and the Boston Braves, and Boston beat New York 8-1!